I am welcoming the end of gardening season, because it means that I don’t have to feel bad about staying inside and sewing now! 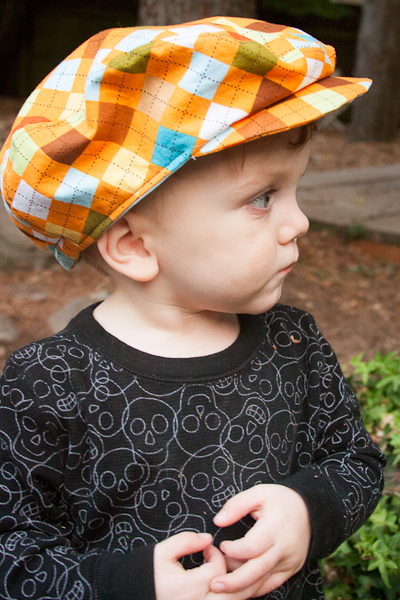 My first sewing project in a while was for my friend’s kid, Declan, who just turned two. 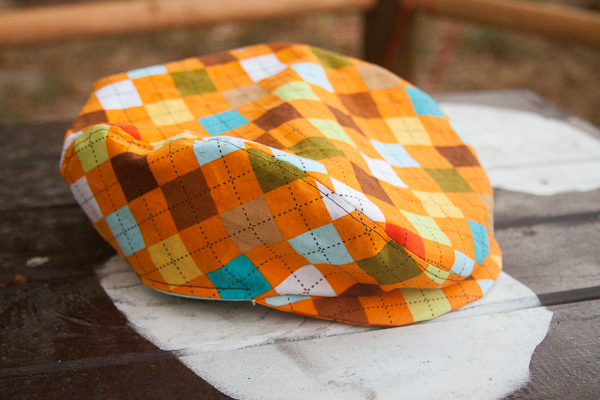 For his birthday, I decided to make him the Huck Finn Cap by Sew Liberated. 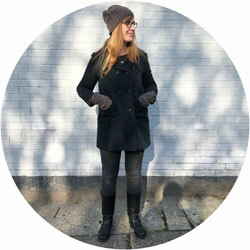 I bought the pattern and the fabric at the West Seattle Fabric Company. This hat came together really fast. After sewing all those 30 plus hour dresses, it was nice to make something that I could complete in just a few hours. 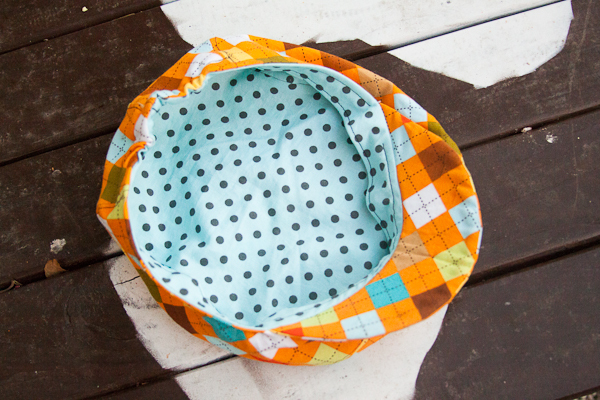 I also love that you can make the lining a contrast fabric. So cute. 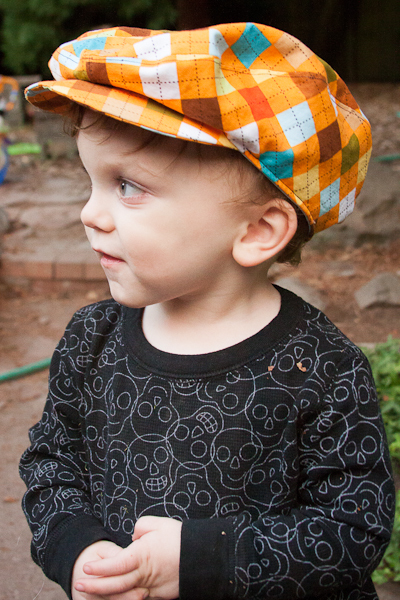 Here’s the handsome little man wearing his new Huck Finn cap. 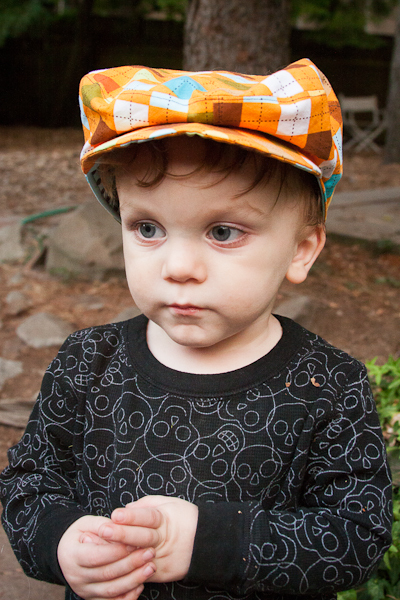 Declan isn’t really a hat wearer… yet. So I made it a little big, so he could wear it when he’s older (and his first instinct isn’t just to take the hat off). He does seem to like to having his picture taken though, so I was able to get him to wear the hat just long enough to snap a few photos. Isn’t he handsome? This hat looks awesome! I love those quick projects too! Love the hat and the photos! You rock!